Have you ever heard of unlearning? Our world views, our mental models, are shaped by our education, but also by our personal experiences, opportunities, communities, cultures, societies and psyches. These are increasingly in the control of the financial system. In our financial system where financiers move to new frontiers of ownership, financial value is being created through the production of scarcity via commons privatised, and as a result, production of poverty. And one can see the same happening in education and the intellectual space that we all hold. Mental environmentalism, if you will. I will go back a few steps to make my point. 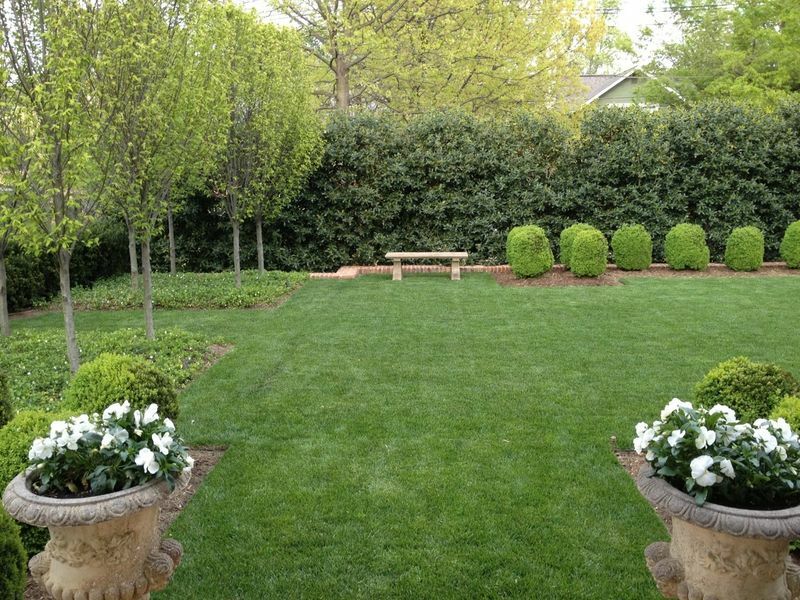 An excellent example is the manicured garden (like the one in the image above). This is a great metaphor used by Alex Dunedin in his article "Education, Utopia, Necessity, and Existential Poverty". He used this as a backdrop to his main argument about education - "one of seeping abundance which is actually a creeping desertification". The commonly manicured garden is dominated by a lawn usually sterilised by a single (usually genetically-modified) species of grass, neatly lined up bulbs and plants of alien species that flower but produce no fruit, purely ornamental. Nearly all presence of 'unathorised' plant and animal species are sterilised and eradicated from the habitat. If we observe this over time, we can notice that the insect life, the soil biome, the indigenous animals and plants are imposed upon, uprooted, excluded and destroyed. The garden is closed up, keeping everything outside out, it is sprayed with herbicides, fungicides and insecticides. The perennial colonial country garden, as Dunedin puts it, is not a scene of abundance but instead the displaying colours of an environmental and existential holocaust. This serves as a metaphor of what is happening in our "socio-intellectual and cultural context as hegemonic monocultures act to homogenise the diverse landscape" according to one world view/mental model. The founder of General Semantics, Alfred Korzibski, said that "all human knowledge is conditioned and limited, at present, by the properties of light and human symbolism" and that the "solution of all human problems depends upon inquiries into these two conditions and limitations". Right now, as we stand, the same knowledge between two people might not be seen with the same merit. This undervaluing of knowledge exists in many forms. For instance, look at the issue of women with the same skills and knowledge as men being paid less or not considered for positions on the basis of their gender. The skills and capabilities they have are the same as men and have not been deconstructed; they have also not overtly been told that women are not as valuable. What has taken place has occurred in an esoteric way. We can argue the same for individuals who have come from different universities, or if someone has not gone to university at all versus someone who does (but has the same knowledge). Of course, we do not want to give special positions to people in society who do not hold the necessary skills. However, if unattainable finance, for instance, has precluded an individual from taking part in an opportunity to attain some form of bureaucratic qualification (but not necessarily the knowledge or skills) then the "process unvalues them by shifting the axis of education from a meritocratic base to one of arbitrary advantage and good fortune". This is important to consider in our current economic system. We live in a world which has concentrated financial wealth in the hands of a few. Economically, we are recreating a feudal hierarchy which defines opportunity for everyone else. As wealth increases and concentrates, particularly through financial instruments, investment concentrates power and shifts value systems towards profit. A good example of this is the power that banks such as Barclays, JP Morgan and Deutsche Bank had over food futures in the 1990s and the result of artificial inflation of the price of staple foods and the resultant creation of famines. This is highly relevant because education, and knowledge (and who is valued as having knowledge) has now become an investment target. This has been spoken about for decades. There is push back around this, with alternative Universities propping up that are student-focused, holistic, critical and embedded in systems thinking. But we need to think about these things - what are we currently teaching, and learning? And what do we need to unlearn to move forward?